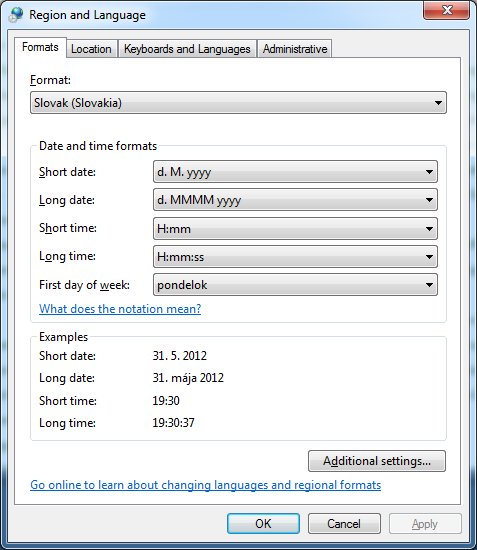 Today I was asked to find out why some users gets Out of office message subject in Slovak language and some in English. Company has two Exchange 2003 servers. One is for Front-end and second is to host mailbox databases. 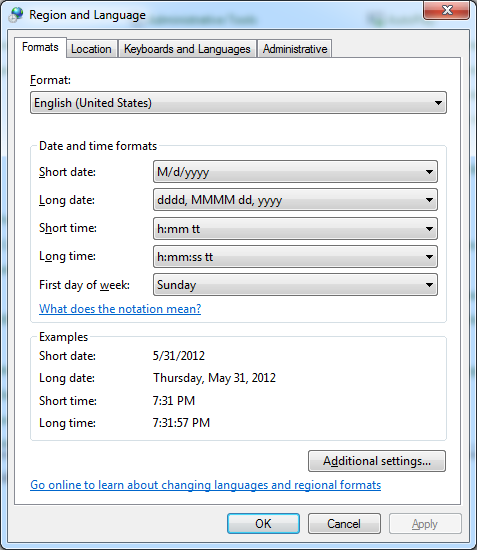 Then I tried to determine on what setting Exchange 2003 decides what language it uses for Out of office message. I thought it based on Exchange regional settings. But when I changes regional settings for both Exchange 2003 servers, restarted all Exchange services, I always got same result – messages in slovak language. I also looked into settings of mailbox client which Out of office message sent. But mailbox language was set to English. I also tried to reset this mailbox language settings for mailbox. Nothing changed language of Out of office message. Language of the Out of office message is based on the MAPI property PR_MESSAGE_LOCALE_ID of the initial message. So when I think about it, basically it says that Out of office message language is based on some property of sender message. 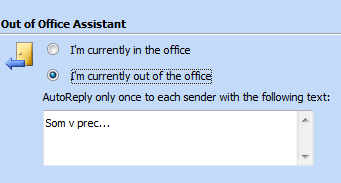 So in other words, language of Out of office message is based on Regional Settings of computer on which Outlook is running or Internet Explorer with web-mail (Horde in my example). So let’s try that. I tried to look into headers of received e-mail, but I couldn’t figure out on which part of header it is based on. If you have time and know how to get that info, let me know.